Welcome Back to School with Mrs. Du Plessis! Mrs. D's trip to Europe with BRHS Students! Welcome to my site! I look forward to another great year at BRHS! In working soley with freshmen one of my primary goals is to help 9th graders make the transition to high school successfully. There is much change moving from middle to high school and I hope to help all of my students feel welcomed at BRHS. Students and parents that visit my site will be able to find a plethora of information. My goal is to utilize this site as both an informative area as well as a resource for students and parents. Furthermore, visitors may find my outline of the quarter as well as updates on homework, quizzes and tests. Please never hesitate to contact me if there is ever a question. I'm here to help you! 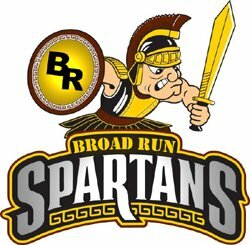 This will be my fifth year teaching English at Broad Run High School. I originally moved to VA from Pennsylvania where I studied and earned my degree in English Education with a minor in Spanish. I earned my M.A. Degree in English with a concentration in Linguistics and a certificate inTESL from George Mason University. My passions include traveling and exercise. In my spare time I love to read, watch the Steelers, spend time with my husband and I look forward to the upcoming addition to our family in December!